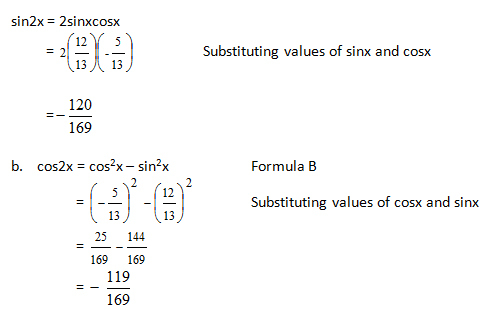 The above identities immediately follow from the sum formulas, as shown below. 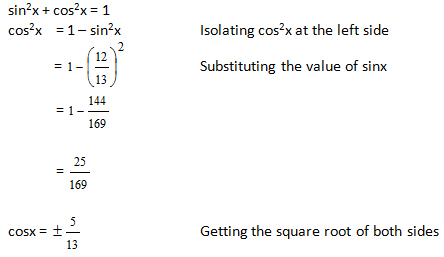 the second in terms of cosine alone, and the third in terms of sine alone. 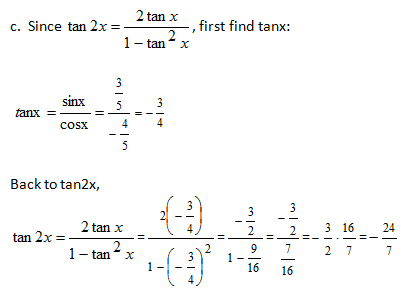 which gives sin2x = 1 – cos2x. 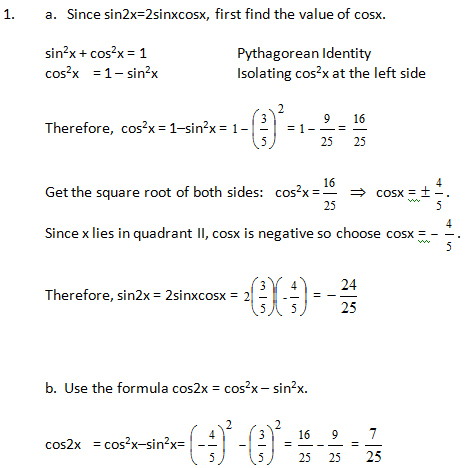 sin2x+cos2x=1 which gives cos2x = 1 – sin2x. a. Since sin2x = 2sinxcosx, we need the values of sinx and cosx. sinx is already given and so it remains to find cosx. 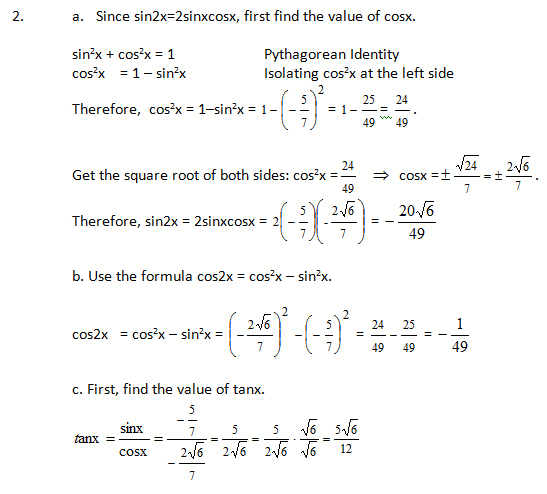 Use the Pythagorean Identity sin2x + cos2x = 1 to find cosx. which is quadrant II, therefore cosx should be negative. 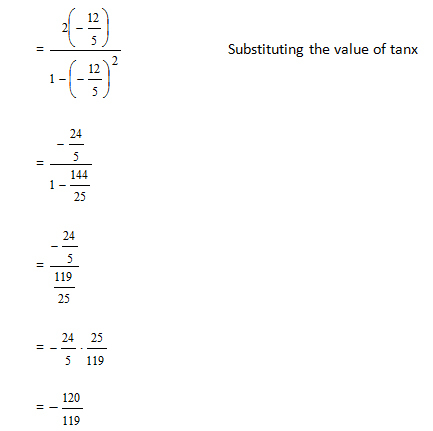 Substitute values into the formula for sin2x.